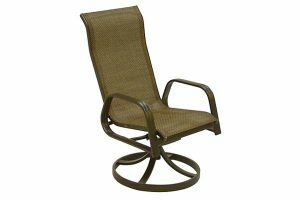 The San Andres is one of our most popular sling style resin wicker weave patio sets that we offer. The beautiful combination of comfort and colour make this set a customer favourite. This sleek and stylish design features durable resin wicker weave wrapped around a rustproof aluminum frame that will provide years of worry free enjoyment. The stackable dining and chaise lounge chairs make winter storage a snap, while the powder coated paint finish provides both beauty and easy maintenance. The tempered glass dining table top provides safety in the event of a break while also looking great for backyard dinner parties or events. 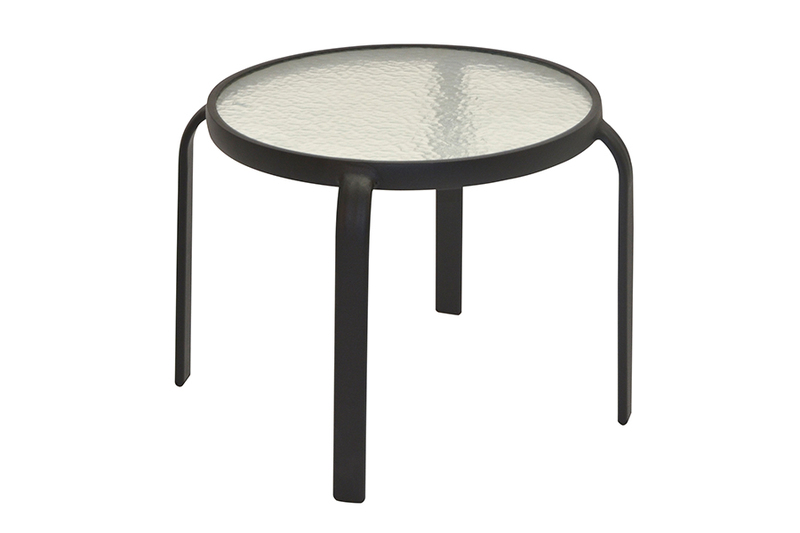 In the San Andres collection, the Black 20" Glass Side Table is a great value and can be perfect in any space. Clean lines and simple design to mix with anything you already have in your backyard. Stackable if you need more than 1 for winter storage. 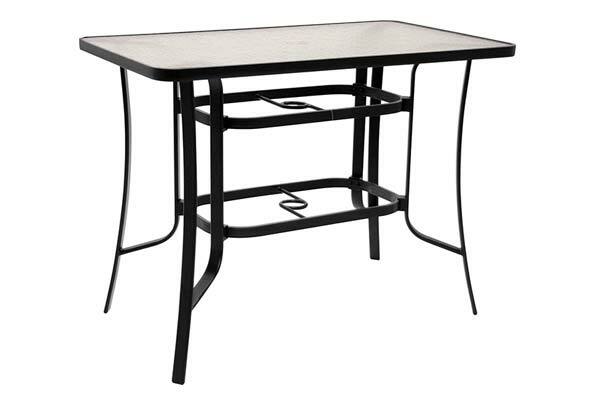 The San Andres Black 28" x 48" Balcony Table is made from extruded aluminum, and outdoor tempered textured glass. Easy to maintain and lightweight. Pair with either the Standard Balcony Chair or the Swivel version. 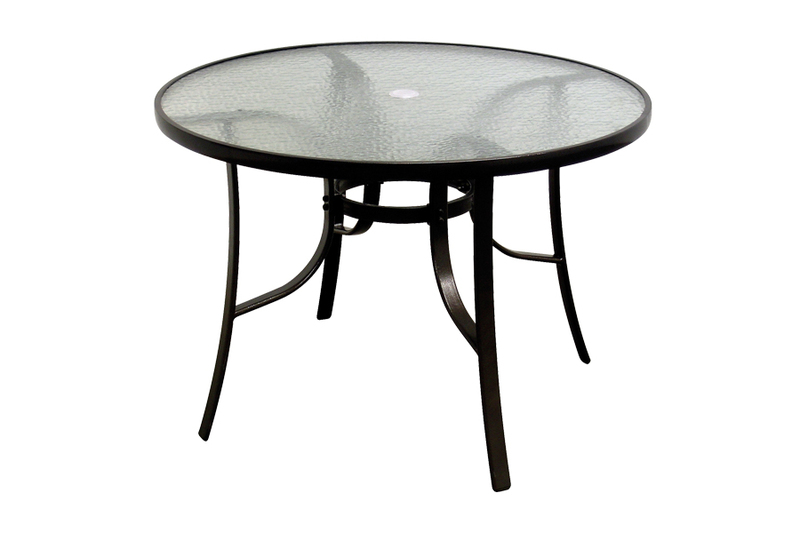 The Black 42" Round Balcony Table is also available in a rectangular size. Both tables can seat four stools. Choose from either the swivel or stationary balcony chair. Aluminum Frame with tempered glass top. The San Andres Black Glass Dining Table 38" x 66" is convenient, durable, easy to clean and made from rust-free aluminum legs and surround. 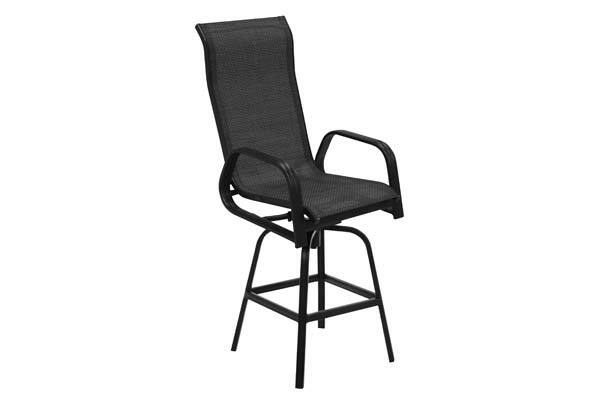 Complete the set with either the stackable dining chair or swivel rocker. 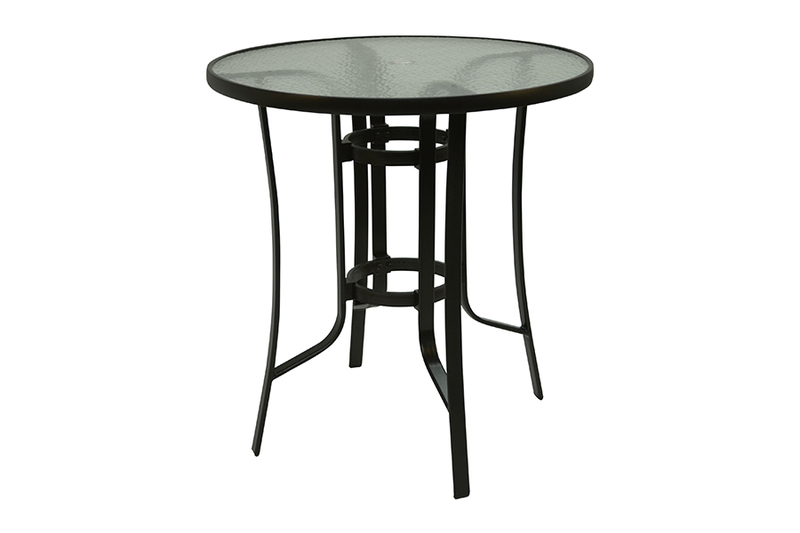 Choose from either the Black Glass Round 48" Table or the 38" x 66" rectangle size in this collection. Table available separately. Complete with aluminum frame and tempered glass top. The Stationary Black Sling Balcony Chair in the San Andres collection can be sold separately or paired with the 42" round or 28" x 48" rectangle balcony table. Well valued and well made, it won't disappoint. The San Andres Black Sling Dining Chair has been our top selling value sling set for more than a decade. With quality that can't be beat in its price range, this stackable, easy to maintain, aluminum dining set is the perfect way to entertain this season. The Black Sling Swivel Dining Chair in the San Andres Collection is durable, easy to maintain and extremely comfortable. This well-valued collection won't disappoint. The San Andres Swivel Sling Balcony Chair is available in two colours. Easy to assemble and simple to maintain. 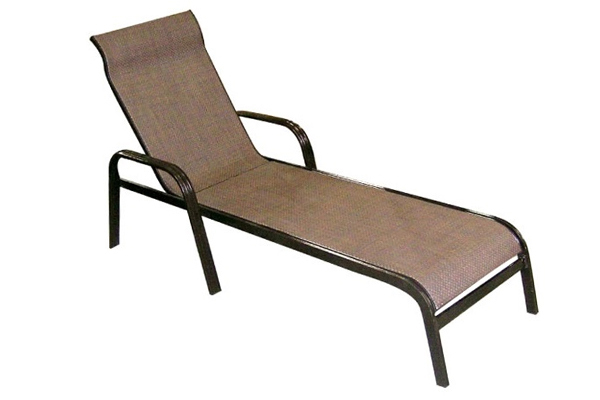 Great value and made of light weight, rust-free aluminum with a water resistant PVC Sling. The Bronze 20" Glass Side Table in the San Andres collection has a shiny bronze finish to coordinate with any warm tones in your backyard. Easy to clean and made of rust-free aluminum with tempered glass top. 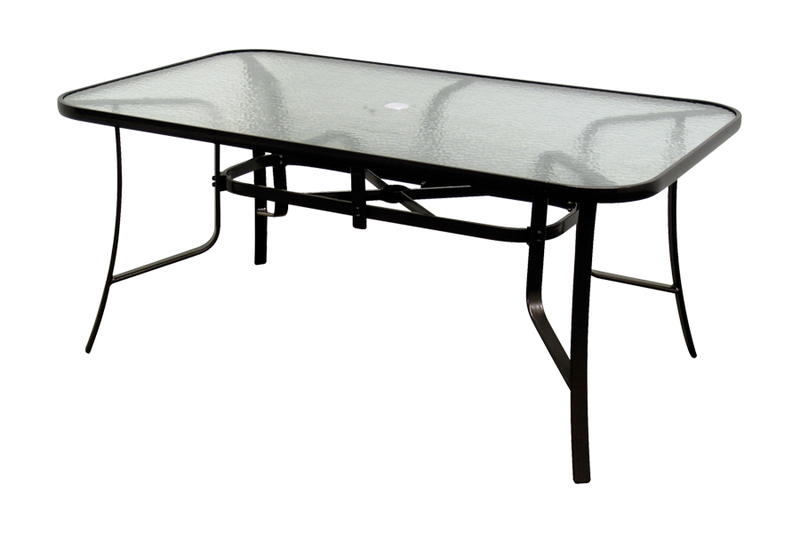 The San Andres Bronze 28" x 48" Balcony Table is made from extruded aluminum, and outdoor tempered textured glass. Some Assembly Required. 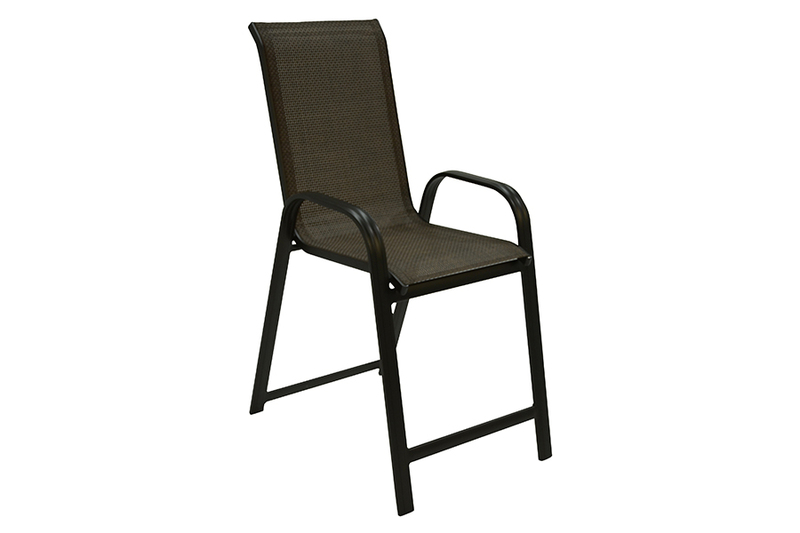 Easy to build and durable rust-free aluminum frame. 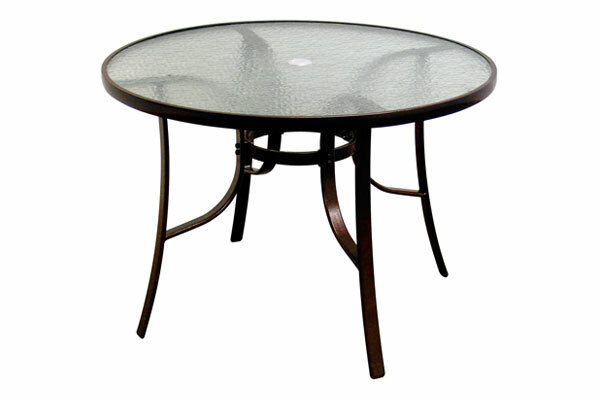 The Bronze 42" Round Balcony Table is also available in the 28"x48" Rectangle Size. Seats up to 4 stools and can choose from either Black or Bronze Frame. 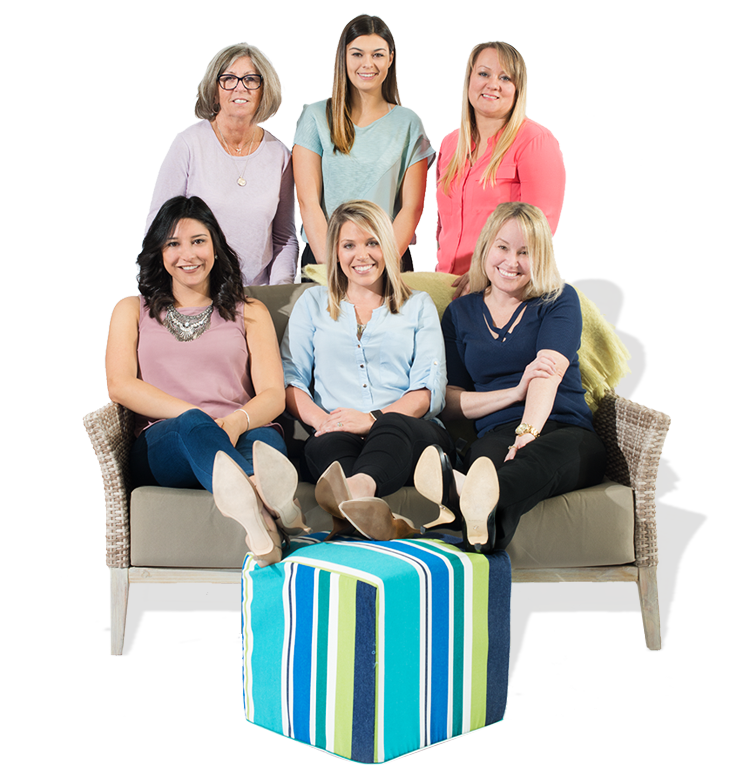 Sold Separately or add the stationary or swivel bar stool. The San Andres Bronze Glass Dining Table 38" x 66" is convenient, durable, easy to clean and made from rust-free aluminum legs and surround. Complete the set with either the stackable dining chair or swivel rocker. Available in Two Colours. 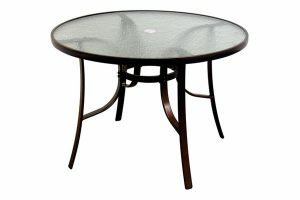 Choose from either the Bronze Glass Round 48" Table or the 38" x 66" rectangle size in this collection. Table available separately. Complete with aluminum frame and tempered glass top. 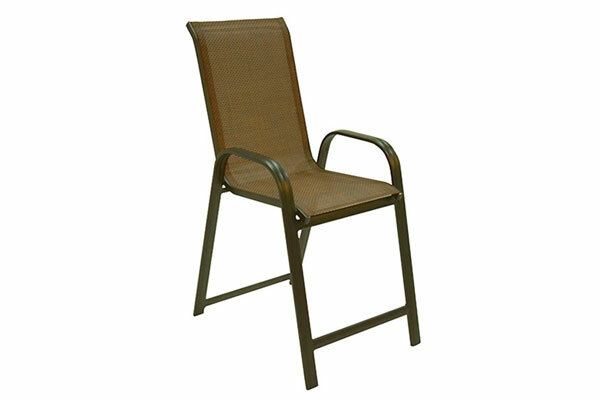 The Bronze Sling Balcony Chair is stackable, rust-free frame and durable PVC sling material. Sold separately or pair with two table options (42" round or 28"x48" rectangle). The Bronze Sling Chaise Lounge in the San Andres collection also has the option of a coordinating 20" bronze aluminum side table. Match this with the top selling collection for over a decade. Dining and Balcony height options available. 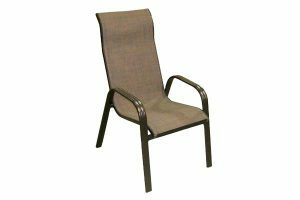 The San Andres Bronze Sling Dining Chair is available in three colour options. This stackable, rust-free and water resistant sling has been a top selling collection for more than a decade. Best quality in its class. The Bronze Sling Swivel Dining Chair is sold separately and can be paired with another swivel and matching 20" side table for your front porch, or added to any of the dining table options for a comfortable outdoor dining area.